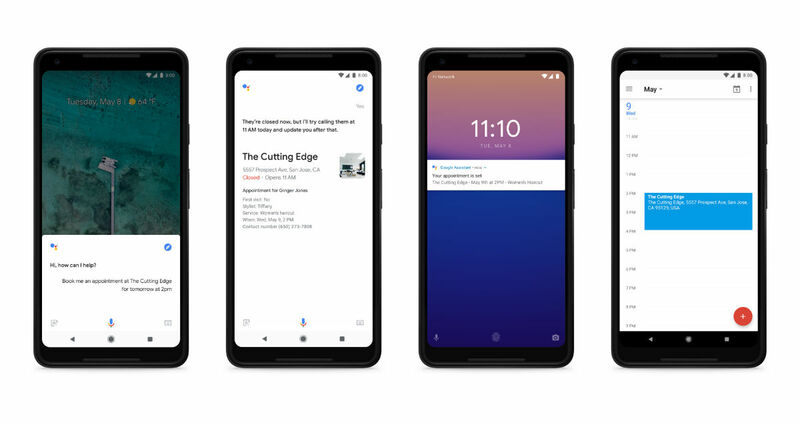 Google announced a ton of changes and new features for Google Assistant at Google I/O this morning. If you weren’t able to catch the stream, let’s go over what’s new. To start, Google is adding 6 new voices for Google Assistant. A preview of each voice can be listened to below. Additionally, Google also announced that a limited time mode for John Legend’s voice will be available later this year, but apparently only for certain contexts. These new voices can be enabled inside of Google Assistant starting today. In the coming weeks, Google says Continued Conversations will be enabled inside of Google Assistant, which will allow for a very natural back and forth between you and your digital assistant. With this, you’ll no longer need the “OK, Google” command for a followup request. Already rolling out to Assistant, Multiple Actions was also announced. With this, you can ask multiple things inside of the same query. For example, “OK, Google, what’s the weather like in Portland and San Francisco?” Your assistant will return with proper answers for both questions. As an even more complex example, you can ask, “OK, Google, who was president when Kevin Durant was drafted into the NBA and what team drafted him?” With Multiple Actions, Google Assistant perfectly breaks down each question and gives your correct responses. Probably the most exciting Google Assistant addition is the injection of a technology called Google Duplex. With this, which will come later this summer, Google Assistant can actually call businesses and book appointments fon behalf of the user. Let’s say you need a haircut. Simply tell Assistant a time and date, then if the business you’re attempting to book the appointment through doesn’t have an online booking service, Google Assistant makes the call for you. Google has a few fantastic examples of real calls Google Assistant has completed and I highly recommend you listen to them. It’s absolutely incredible. Google also announced this morning that Assistant is coming to Google Maps later this summer. With this enabled, you can send text messages, play music and podcasts, and get information without leaving the navigation screen. Pretty awesome changes and new additions, am I right?